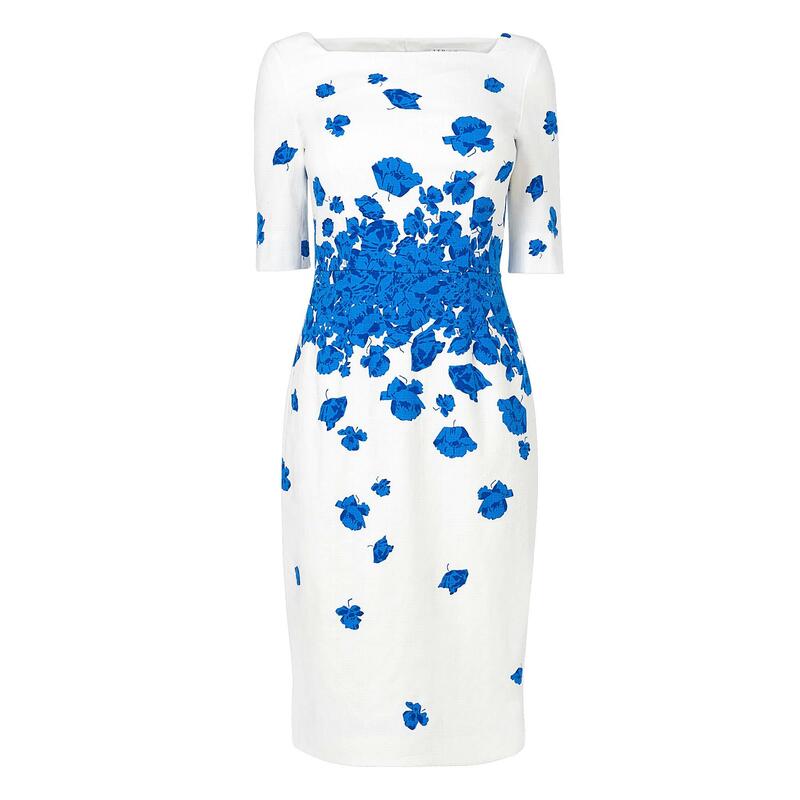 Cotton and viscose blend, this structured sheath is sprinkled with blue poppies to draw the eye to the fitted waist. 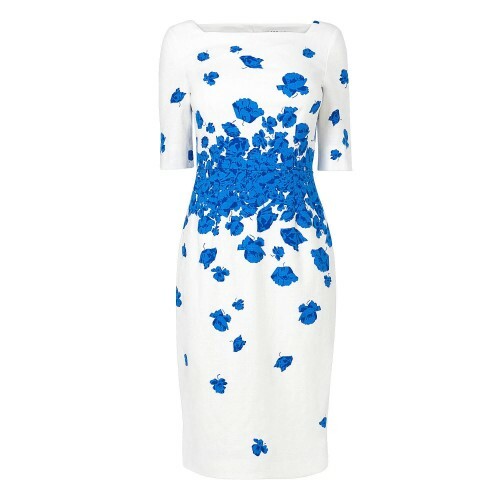 TV actress Mindy Kaling wore the same print dress on her hit show The Mindy Project just a month before Kate wore the dress on tour. Retail: £245.